Randy Zornes, CBSE, has been with FBG for over 40 years managing several areas of our business including the Special Services Division and hi-rise window washing. 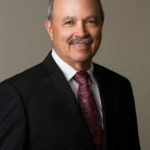 He has been the District Director of the Rocky Mountain District since 1984. Based in Colorado Springs, this district was the first expansion for FBG outside of Nebraska. Randy and his team have grown from the business south to Pueblo and north up the Front Range to Broomfield, north of Denver. Copyright 2019 FBG Service Corporation. All Rights Reserved.